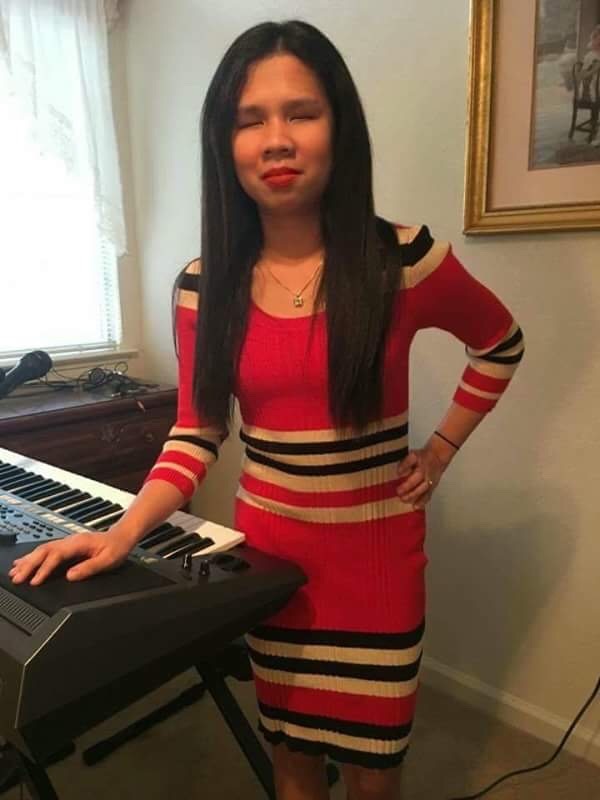 Watch this viral video of a talented Filipino blind girl named Sarah Joyce Roberts while singing a song called Angel by Sarah Mclachlan and playing a keyboard at the same time. Currently her video has hundred thousand views and counting on Facebook, plus thousands of reactions and shares. No wonder she is really “a true gifted”, “a girl that has an angelic voice” and “a sweet young lady”, according to netizens. Sarah Joyce is a graduate of STI College in the Philippines. She took up BS Office Administration. After she graduated in 2015, she went to California USA. But her passion is singing so it is not surprising that she has so many videos on the internet while singing and playing a keyboard. However, what surprised her, was when she noticed that suddenly one of her videos on Facebook was beginning to gain a lot of Facebook shares, positive feedback and so many reactions faster than the usual. We encourage you to watch her viral video below and see for yourself why this is so. Leave your comment to let her know what you think about the performance. This is the reason why this website is so proud of Sarah Joyce. Because her video performances like this certainly inspire so many people and touch so many lives all over the world. How about you, do you think the video deserves a viral status? Do you think her talent is enough reason to bring her to many places? Let us know your answer in the comments section below. And don’t forget to like and share this post if you are impressed with her performance. Or contact us if you want to invite her to sing in your event or if you want to help her career in any way you can.